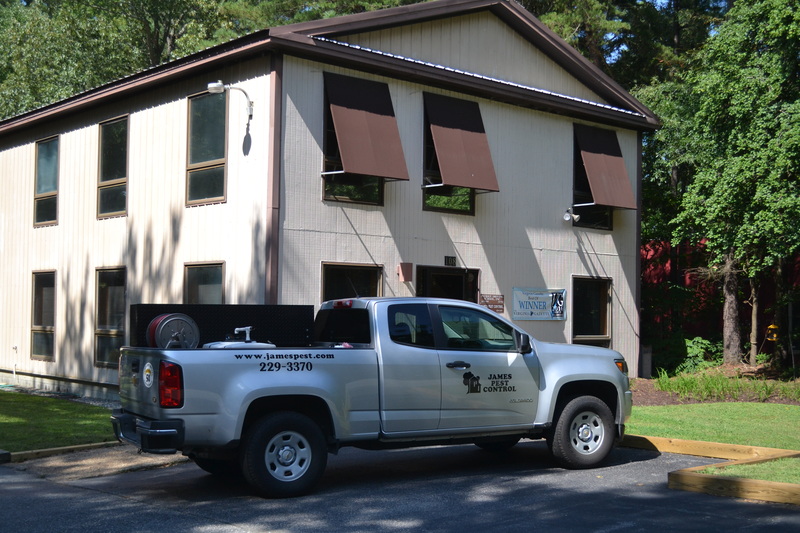 James Pest Control was founded in 1967 by John and Sonia James and has been serving the Williamsburg area since 1973. John James, CEO has over 50 years of Integrated Pest Management experience. He has been the past Vice President of the National Pest Management Association and Past President of the Tidewater Pest Control Association. He has also been an instructor in IPM at Thomas Nelson Community College. In 2005, he was honored by the Virginia Pest Management Association by receiving the Lifetime Stewardship Award for his contributions over the years for improving the standards of the pest control industry. Sonia James, has been instrumental in setting up the master scheduling protocol and has always performed the duties of Secretary/Treasurer/Bookkeeper for the Corporation. She has also served the Virginia Pest Management Association in a variety of capacities over the years in the industry. Shara, their daughter, joined the business after graduation from Longwood College School of Business. She has over 23 years of pest control experience and holds Virginia Department of Agriculture certification. She also has attended numerous pest control academies and conferences to further her knowledge of the pest control industry. Mrs. Ware is currently the Vice President of the Corporation and oversees the daily operations. We currently have a full staff of licensed technicians and office personnel to assist our customers with any pest situation that may arise. Our company has been founded on the principles of honesty, professional integrity, and good work for a fair price. We carry out these principles every day to help our customers rid their homes and businesses of pest control problems.